We have extended the deadline for re-registration to April 5, 2019. In order to fully prepare for next year, it is important for these forms to be returned. If you have not done so already, please submit your paperwork. For your convenience, we have attached the forms below. The 2019-2020 school year will be here before we know it and you won’t want to miss it! We welcomed our week gathering as a community and praying the rosary for the Feast of the Annunciation. The children spent some time reflecting on the angel Gabriel’s visit to Mary and her saying “yes” to God’s call. We are so grateful for the opportunities to say “yes” to Catholic education every day.  We are also pleased to announce that we are welcoming the National Junior Honor Society Chapter to Annunciation School. We had the opportunity to meet with our 6th, 7th and 8th grade students today to discuss the areas of: scholarship, service, leadership, character and citizenship. Our NJHS coordinator and valued 8th grade teacher, Mrs. Elliott, has helped to spearhead this program and we couldn’t be more excited to offer this opportunity for our young scholars. Mrs. Elliott was recognized in January by the Archdiocese for her service and dedication to Catholic education. We are grateful to her for all of her service to the Annunciation School community. Please see the letter attached with a detailed explanation of NJHS and our faculty council. Any devices capable of recording audio, photographic or video content. In the event a student is “opting out”, prior notification should have been sent to administration and those students should arrive to school at 11:30am. Please adhere to these guidelines. If you have any questions, please contact me. The deadline for bus applications for next year is MONDAY, APRIL 1. Applications must be be dropped off in person. Contact Mrs. Sinnott if you need an application or go to the Yonkers Public Schools website. In closing, just a reminder that the safety of our students is paramount. After meeting with our class parents there were several concerns raised regarding parking and drop-off. Kindly follow the traffic patterns and parking regulations. Also, please be mindful of the speed in which you are driving. We want everyone to arrive and depart from Annunciation safely. Please mark your calendars and start your mixers! The Annunciation Ladies’ Guild is hosting its annual Palm Sunday Bake Sale in the Annunciation School gym following the 5pm Mass on Saturday, April 13th and continuing throughout the morning of Sunday, April 14th. We also will be selling limited items at Fatima after the 9 am and 11 am masses. We are in need of baked goods such as cakes, pies, cookies and cupcakes! Our best sellers are the home cooked meals such as stromboli, chili, chicken pot pie and quiche! We would like to offer gluten-free, nut-free and low-fat baked goods again this year. The class with the most donated baked goods wins a pizza party! Please be on the lookout for a volunteer form being sent out next week. Thanks for your support! 4/5 – Friday – 10 AM Mass – HSA Lip Sync, 7 P.M.